Unnat Jyoti by Affordable Lighting for All(UJALA) zero subsidy scheme was set up in Melaka state under the Union Ministry of Power. This highlights success of Indian model UJALA scheme to promote efficient lighting, using efficient equipment to reduce electricity bills and preserve environment at a global level. Indian Institute of Science(IISc) retained its top position among Indian universities in the Times World Universities Rankings. IISc slipped in global rankings from the 201-250 band to the 251-300 one. A total of 30 Universities in India featured in this edition of the list, but none was in the top 100. An Expert Task Force has been constituted by the National Institute for Transforming India(NITI) to provide major thrust to job creation by enhancing India’s exports. It will be headed by NITI Aayog Vice Chairman Dr Rajiv Kumar. India’s first Hyperloop project will come up in Andhra Pradesh, connecting its city centres, Vijayawada and Amaravati. 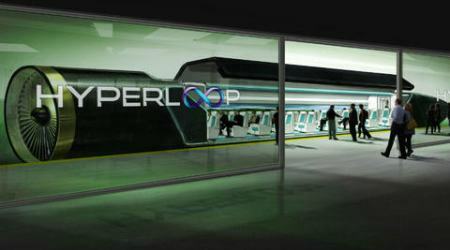 Hyperloop Technology is brainchild idea of technology entrepreneur Elon Musk who dubs it as fifth mode of transportation. It is system of magnetically levitating capsules (pods) that are sent at high speeds through low-pressure tubes. Hyperloop is two-to-three times faster than fastest high-speed rail and claimed to have speeds even greater than commercial air travel. SLINEX 2017, seventh edition of India-Sri Lanka naval maritime exercise was held near Vishakapatnam(Andhra Pradesh) in Bay of Bengal. It is a biennial maritime exercise between India-Sri Lanka in the year 2005. India and Japan have agreed to collaborate closely in defence production, including on dual-use of technologies as decided in India-Japan annual defence ministerial dialogue held in Tokyo. The Telecom Regulatory Authority of India (TRAI) has recommended delicensing of chunk of spectrum in few bands to facilitate smooth roll-out of machine-to-machine(M2M) communications. TRAI has suggested that no separate spectrum band will be allocated exclusively for M2M services, rather it will utilise existing license exempt airwaves. I m grateful. Really sincere and painstaking efforts.